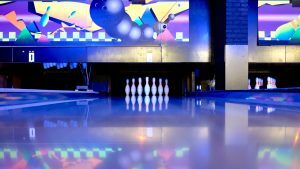 Mid County Lanes’ Fun Center Opening in June! When your kids are done throwing strikes, bring them to the arcade zone. With brand new arcade games at their disposal, they will have a blast competing against each other or against themselves! 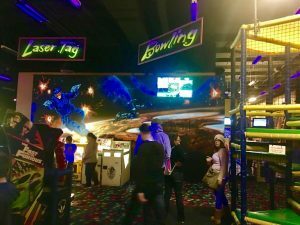 Recently, Mid County Lanes upgraded its laser tag arena. With new equipment and venue area, this activity will be a blast for everyone involved! Sharpen your hand-eye coordination skills and try your luck in this activity that is the talk of the town. Bumper cars are fun for kids of all ages! Whether or not they have their driver’s license, bumper cars is a fun and safe way to bump into friends and family. Test out your driving skills at our entertainment center and make memories with the people you love! We know that having fun works up an appetite. That’s why we have a fresh snack bar area that will hold the most delicious and appetizing food in the area. Bring your kiddos to the snack bar when they get hungry! Make sure to stay in-the-know by liking our Facebook page! By doing so, you will receive the latest news concerning our grand re-opening in June. We look forward to seeing you at Mid County Lanes! Whether you’ve been bowling for 20 years or 20 minutes, it’s important to keep your body in top shape to prevent bowling injuries. 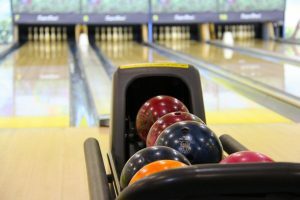 The team at Mid County Lanes has put together a list of injuries that may occur if proper bowling technique isn’t used. Fortunately, for each common bowling injury, there are preventative measures you can take! When you pull your back muscles, everything you do is affected – walking, bending over, reaching for an item, and taking part in your favorite activity (bowling) is suddenly out of the question. Newer bowlers tend to pull their lower back muscles when they don’t stretch properly beforehand. Not many people realize that bowling requires a lot of bending, lifting, and proper technique. Stretch your back muscles to keep them warm and loose. A thumb sprain may occur due to a tight-fitting thumb hole. If you’re a bowler that tries to spin the ball more often than not, you have an increased chance of getting bowler’s thumb. You can prevent thumb sprains by gripping the ball properly, wearing bowling tape on your thumb, and using the appropriate ball size. Take these precautions so you can keep bowling strikes and having fun at Mid County Lanes. One of many bicep injuries that can occur while bowling is biceps tendinitis. This happens due to repeated arm swings at improper form. Consult with other bowlers or research online proper technique and form to make sure you are bowling correctly. Take time to do these three simple exercises so you can prevent this painful injury. Mid County Lanes knows that no matter what day it is, people need to have fun! That’s why we’re open every day of the week. Check out our hours, invite some friends and family members, and head to the alley today! When your feet are ahead of the swing, this is called fast feet. This may cause you to be off balance, which means your throw won’t be on target. Practice taking steps that line up with your throw to ensure your body weight is accurately balanced. By doing this, we’re sure you will be able to bowl more strikes! Depending on how you want to throw the ball, your hands and fingers need to be placed accordingly. With a fingertip grip, you are able to throw a hook. The name accurately represents what you should do – grip it with your fingertips. The conventional grip allows you to throw the ball straight down the lane. When you grip the bowling ball, insert your fingers into the ball to your second finger joint. Where you place your feet or what grip you choose are important to a good bowl. But, you also must understand elements about the lane. Each lane is oiled to ensure the bowling ball rolls properly. Usually, the center of the lane is oiled a bit more than the sides. If you sense the oil is affecting your roll, change up your game by decreasing/increasing speed, hooking the ball, or change the weight of your ball. What better way to learn how to become a better bowler than learning from other bowlers? Join a league and watch how fast you’ll improve simply by practicing often and watching how other bowlers compete. Are you ready to get your bowl on? Check out our hours, then head to Mid County Lanes today! Whether you’re in a bowling league or enjoying a date night out at Mid County Lanes, we bet you’re wondering how to bowl more strikes. While technique and form are very important, did you know that bowling is very much a mental game? It’s important to clear your mind and stay focused when you bowl. Check out these tips to bowl more strikes! When it’s your turn, do your best to block out other people, distractions, and noises. If you’re focused on elements other than bowling, you won’t be able to bowl a strike. The best way to get used to pushing noises and distractions to the background is to practice often! Come to Mid County Lanes multiple times a week and practice bowling strikes. This will get you ready for your big competition or night out with friends. You likely joined your bowling league or chose bowling as your go-to date night activity because you enjoy this pastime. So, remember to have fun when you’re bowling – it actually has a lot of mental benefits! If you get too serious, your excitement will be replaced stress. Have you ever heard the expression, “the joy is in the journey, not the destination”? That means to have fun and find happiness as you work toward your goal! Of course, it’s important to set goals. Goals give us a sense of direction. But, as you work toward your goal, enjoy the journey! Are you ready to bowl? Check out our hours, and come to the bowling alley today! Brand New Birthday Packages at Mid County Lanes! Spring is a time for freshening up, and that includes the birthday party packages at Mid County Lanes! We’ve listened to your feedback and totally updated our party packages to make them even more flexible, affordable, and fun. Check out all the new options! First of all, now you control exactly what your party contains. Do you want to have a bowling party? We can do that (including shoe rentals)! Do you want to enjoy attractions like bumper cars, laser tag, and the arcade at Family Fun Galaxy? No problem. Would you like to combine multiple experiences for ultimate fun? Let’s make it happen! Each party package comes with food, drinks, tableware, a personal party host, and goody bags for under $200. 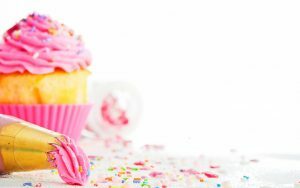 Of course, that’s just the basic party package–if you want to upgrade your birthday celebration into something truly special, we can do that too. Our Deluxe and Ultimate party packages mean more fun, treats, and special surprises for the birthday child. You can even reserve a dedicated bowling lane so the adults can enjoy a little fun of their own. The only limit is your imagination! Birthday parties shouldn’t be a hassle for anybody, but too often they wind up causing parents headaches and leaving kids disappointed. Don’t let birthday disasters happen to you! Contact us today to book the easiest, most fun party you’ll ever throw. All you’ll need to do is pick a date, make a deposit, and convince people to RSVP. Mid County Lanes will handle the rest! Once you’re familiar with basic bowling how-to, and you’ve read up on league bowling opportunities at Mid County Lanes, it’s time to tackle an important topic: bowling etiquette! While bowling is a leisure activity, there are rules and common courtesies to observe to make everything run more smoothly and make bowling fun for everyone. First of all, some basics: make sure you pay attention! Yes, there’s plenty of time for chatter and hanging out with friends, but be ready when it’s your turn because the rest of your team is waiting on you. Be considerate of neighboring lanes–don’t wander into other people’s bowling space or use lanes that aren’t yours. Remember that there may be families around, so keep the foul language to a minimum. And obviously, don’t cheat! If two bowlers in adjacent lanes are ready to bowl at once, the bowler to the right goes first. You should make sure to finish your turn before you walk back to check your score because otherwise, you’ll be wasting everyone else’s time. When you’re done, return your borrowed equipment like shoes, balls, etc. promptly and in good working order. This isn’t just polite–it will also keep you from incurring additional fees. If everyone works together to follow the rules of bowling etiquette, we can all have a great time together. And don’t be shy! If you have questions about how to behave or aren’t sure of something, ask a veteran bowler or one of the staff here at Mid County Lanes! We can’t wait to see you at our next open bowling session! Valentine’s Day is almost here, and with it comes the pressure for couples to celebrate. 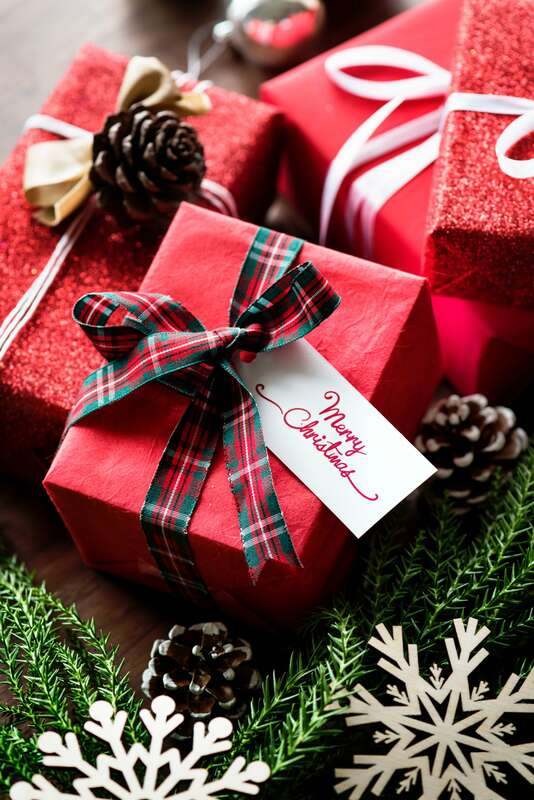 But with the expenses of the holidays in the not-so-recent past, many people are also feeling the pinch of budgetary constraints. Don’t panic! Mid County Lanes has plenty of budget-friendly ideas for celebrating Valentine’s Day. Go Bowling. Get together with your sweetie and go bowling! Mid County Lanes is open on Valentine’s Day, and we won’t be as crazy busy as most restaurants. If you both enjoy bowling already, great! If not, learn a new skill together to keep your partnership strong. 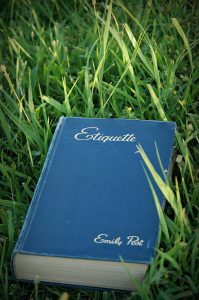 The low-key atmosphere means conversation will flow without pressure. Have a Picnic. If the weather isn’t cooperating, don’t despair–spread a blanket out on the floor of the living room and have an indoor picnic with all your favorite treats. Don’t forget the candles (but be careful using candles outside)! Tour a Brewery or Winery. Take care of activities and drinks all at once: many wineries, breweries, distilleries, etc. offer tours that come with tastings included at the end. You’ll learn something about the making of alcohol, support local business, and who knows? Maybe you’ll discover your new favorite drinks together. No matter how you choose to celebrate Valentine’s Day, remember: it’s the thought that counts. 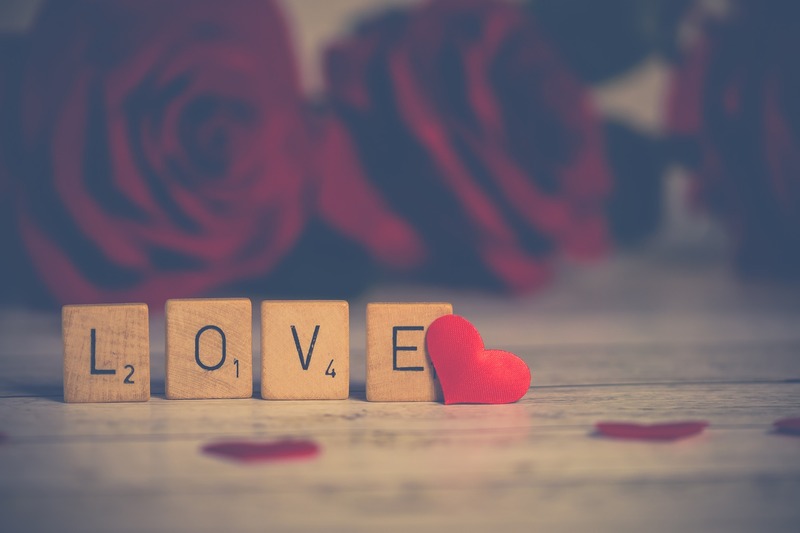 Give your sweetheart the gift of meaningful time together and follow it up with a heartfelt love letter, and you’ll find the romance takes care of itself. We can’t wait to see you and your date at Mid County Lanes for an inexpensive, fun Valentine’s Day celebration! Now that it’s mid-January, how are you feeling about your New Year’s Resolutions? If you’re starting to feel a little bit overwhelmed, you’re not alone. A lot of people fail in their resolutions because they were feeling too optimistic and wound up making unrealistic plans. 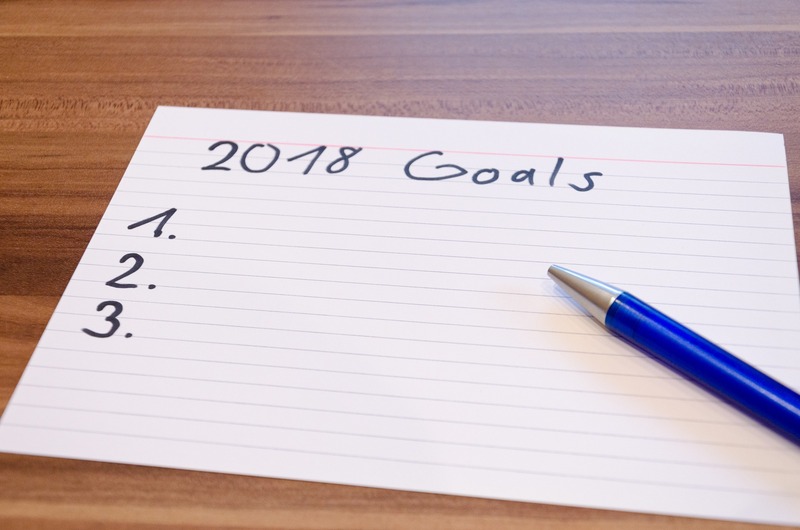 It may be time to see if you need to revisit your plan in order to make the most out of 2018! Make SMART Goals. Nothing makes it harder to meet a goal than the goal itself being vague. “Eat one serving of vegetables with every meal” is easier to measure than “eat better.” Tracking your progress is a great way to keep yourself motivated. One Thing at a Time. Don’t overload yourself with too many changes at once. Start with just one or two goals, and add more slowly, as your old ones become habits. Before you know it you’ll have a whole new routine! Try Something New. Learning new skills will keep your brain active, and can help improve memory, focus, and concentration. Not only that, but it’s fun! Make this the year you take up bowling at Mid County Lanes. You’ll make friends, get out of the house, and keep yourself and your family entertained! It doesn’t take much to make a new year into a new start. Just remember to be kind to yourself and to others, and to seize opportunities for fun when they arise. We hope you’ll join us at Mid County Lanes and Family Fun Galaxy to make 2018 the best year ever! How are you feeling? Are the weather and the post-holiday blues getting you down? If so, it may be that you need more time for fun in your life. 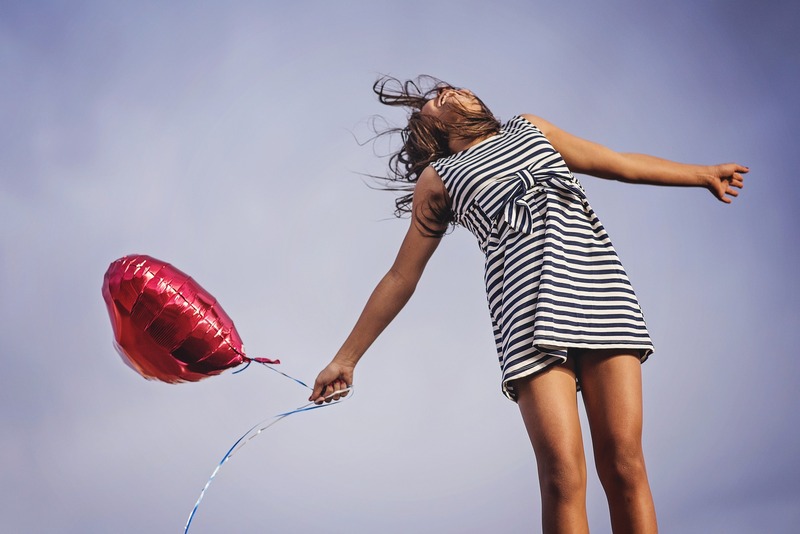 Having fun isn’t just important because it’s enjoyable–it’s also really good for your brain. Check out all the mental benefits of spending time having fun at Mid County Lanes and Family Fun Galaxy. Your brain is just like any other part of your body: it needs to chill out sometimes. Consider how much better you feel after taking a break from work. Giving your brain a chance to rest and recharge helps increase your ability to concentrate afterward, which leads to more productivity. Constantly being “on,” or working until you drop, may sound like an admirable quality, but it can lead to a lot of stress. While some stress is actually good for you, prolonged stress has the opposite effect, and is actually counter-productive when it comes to being good at what you do. Plus, this time of year can cause feelings of anxiety, sadness, and depression, and even more serious conditions like Seasonal Affective Disorder. It’s important to take care of your emotions just like your physical health! At Mid County Lanes and Family Fun Galaxy, we offer all the fun you can handle, from after-school bowling specials to our arcade and all our other great attractions. If the January Slump has hit you hard, don’t panic! Come down to Mid County Lanes and see if we can’t lift your spirits! Check Out These Great Gift Ideas for Bowlers! Are you looking for some great last-minute holiday gift ideas? Do you have a loved one who lives to bowl? At Mid County Lanes in Middletown, Delaware, we are fully stocked and help you find the perfect holiday present for your favorite bowler! Check out our holiday shopping guide for anyone who loves spending time at the lanes. Did you know you can get decorative bowling pins with your loved one’s favorite sports team on it? Check it out here! You can also get some really fun office supplies, shirts, bowling bags, and so many more bowling-related items! Of course, the crème de la crème of bowling-related gifts is a new ball. Luckily, our pro shop is fully stocked with every type of bowling ball you could ask for. From plastic balls for beginners to high-end synthetic balls for add zip and spin, we have you covered. The best part, you can purchase a new bowling ball before the holidays and come back after to have it customized to fit your loved one’s hand perfectly! Once you’ve picked out the perfect bowling-related gifts, the next step is to come down to Mid County Lanes for an unforgettable night of fun. Purchase a gift certificate from us or roll by after the holidays during our open bowling times to give the new ball a try and have a night of family-friendly fun! We also have winter leagues starting up soon, which could be a great way for you to get involved in the bowling scene with your loved one. For more information about leagues, open bowling or any of our pro shop items, give us a call today! Did You Know There’s More than One Type of Bowling?